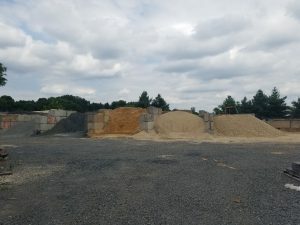 We have many types of crushed rock, gravel and sand. Our products are used in a variety of residential, commercial and industrial construction projects as well as public works projects such as highways, bridges, roads, railroad lines, airports, dams and water-sewer systems. Aggregates are created with quality hard rock, sand and gravel and serve as the base of compositions for everything from back porches and driveways to roads, highways and airport runways. These items are available for immediate load or for delivery. Just come by Gateway Home & Garden Center and we’ll take care of you.